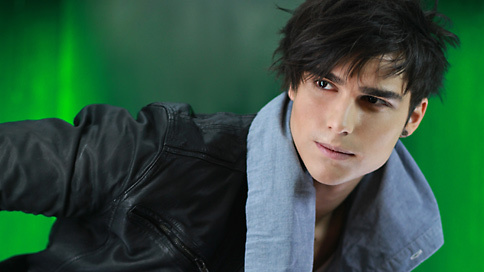 Possibly the hottest male pop act to ever come out of Sweden is 21 year old Eric Saade. Not the typical Blonde haired blue eyed stereotype we expect from Sweden, Eric has a Swedish Mother, and a Palestinian Father and is one of 8 children! As a 17 year old he was in Swedish boy band What’s Up!, then in 2009, along with some television work, started working on some solo projects after signing with Agnes’s label Roxy. He released a few singles and was chosen to represent Sweden in the 2011 Eurovision Song Contest where he finished 3rd, which is where we first came across this hot pop muffin back in April 2011! Now out to prove his pop credentials to the world he’s teamed up with the very talented Dev for his new single Hotter Than Fire. Dev is around everywhere at the moment with her single In The Dark smashing the world-wide charts, and also teaming up with JLS & New Boyz, and will only help promote this great dance track. EuroPop at its greatest, check out Hotter Than Fire below!